Over the last few years, Michael Griffin has been heralded by critics as an author of breathtaking skill, melding the aesthetics of quiet horror, dreamlike wonder, and the strangeness inherent in the classical weird. Readers have sought his stories, scattered throughout prestigious anthologies, magazines, and limited-edition chapbooks, hoping to assemble their own collections of Griffin's ferocious, poetic fiction. 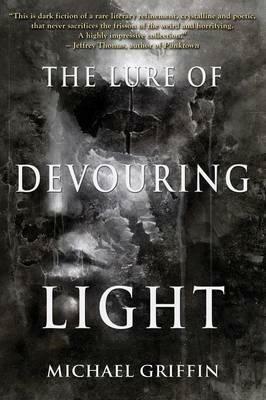 Now, Word Horde presents Michael Griffin's debut collection, The Lure of Devouring Light. Here you will find strange and luminous tales, character-driven, emotionally resonant, and grappling with horrors both everyday and supernatural. Experience for yourself The Lure of Devouring Light.